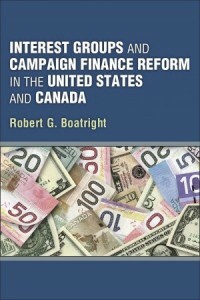 Interest Groups and Campaign Finance Reform in the United States and Canada is a study of how, as the title suggests, American and Canadian interest groups responded to their nations’ campaign finance reform laws of the 2000s. The book was published in 2011. You can buy a copy of it, find a summary of it, read sample chapters, and so on at the University of Michigan Press website. The Press also has a couple of blog posts I wrote about the book, which are here and here. If you’re already familiar with the book, you can find a list of related material, with links, below. You may also be interested in the edited volume I put together for the Open Society Institute on comparative campaign finance; the publisher’s page for that book is here. “Cross-Border Interest Group Learning” (unpublished supplemental material for the book). “The End of the Reform Era? Campaign Finance Retrenchment in the United States and Canada,” The Forum 10 (2), 2012. “Campaign Finance Reform and the Democratic Deficit in the United States,” in Imperfect Democracies: The Democratic Deficit in Canada and the United States, ed. Richard Simeon and Patti Lenard (Vancouver, BC: University of British Columbia Press, 2012). “Lessons for Canada from the American Campaign Finance Reform Experience,” in Money, Politics, and Democracy: Canada’s Party Finance Reforms, ed. Lisa Young and Harold Jansen (Vancouver, BC: University of British Columbia Press, 2011). “The Place of Quebec in Canadian Interest Group Politics,” American Review of Canadian Studies 45: 2-19 (2011). “Cross-Border Interest Group Learning in Canada and the United States,” American Review of Canadian Studies 43: 418-437 (2009). “Interest Group Adaptations to Campaign Finance Reform in Canada and the United States,” Canadian Journal of Political Science 42: 17-43 (2009). “Financing the 2012 Elections.” In The American Elections of 2012, ed. Steven E. Schier and Janet Box-Steffensmeier. New York: Routledge (2013). “The Chamber of Commerce and the Citizens United Decision.” In Interest Groups Unleashed, ed. Chris Deering, Paul Herrnson, and Clyde Wilcox. Washington, DC: Congressional Quarterly Press, 2012, pp. 23-48. “Fundraising: Present and Future.” In Campaigns on the Cutting Edge, 2nd ed., ed. Richard Semiatin. Washington, DC: Congressional Quarterly Press, 2012, pp. 11-27. “Regulating and Reforming Group-Based Electioneering.” In Congressional Quarterly Guide to Interest Groups and Lobbying in the United States, ed. Burdett Loomis. Washington, DC: Congressional Quarterly Press, 2011. “Financing the 2008 Elections.” In The American Election of 2008, ed. Steven E. Schier and Janet Box-Steffensmeier. Lanham, MD: Rowman and Littlefield, 2009, pp. 137-160. “Fundraising: Present and Future.” In Campaigns on the Cutting Edge, ed. Richard Semiatin. Washington, DC: Congressional Quarterly Press, 2008, pp. 10-26. “Situating the New 527 Groups in Interest Group Theory.” The Forum Vol. 5, Issue 2 (2007). “Adaptations and Alliances: Strategic Decisionmaking by Ongoing Interest Groups and Advocacy Organizations.” With Michael J. Malbin, Mark J. Rozell, and Clyde Wilcox. In The Election After Reform, ed. 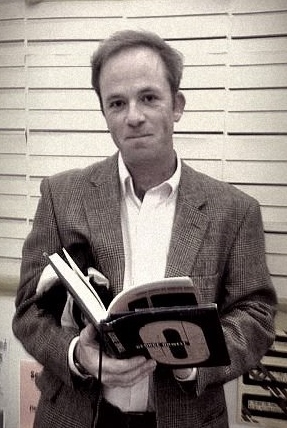 Michael J. Malbin. Lanham, MD: Rowman and Littlefield, 2006, pp. 112-138. “Political Contribution Tax Credits and Citizen Participation.” With Michael J. Malbin. American Politics Research.33 (6): 787-817 (2005). Political Advertising Vouchers for Congressional Candidates: What Difference Could They Make? Washington, DC: The Campaign Finance Institute, 2005. “BCRA’s Impact on Interest Groups and Advocacy Organizations.” With Michael J. Malbin, Mark J. Rozell, and Clyde Wilcox. In Life After Reform: When the Bipartisan Campaign Reform Act Meets Politics, ed. Michael J. Malbin. Lanham, MD: Rowman and Littlefield, pp. 43-60.